What are the odds this is legitimate interest in the performance of Russian crews, rather than some unrelated and unknown internal motivation? My impression is that Russian attitudes towards women & gender equality are well outside of the OECD norm of 2015. 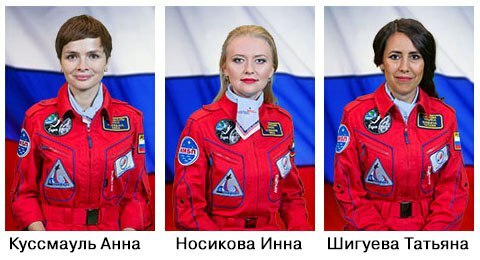 That the Soviet/Russian space program of the past gave up on using women as a regular part of the cosmonaut corps even while the Party was committed to an extreme position in favor of gender equality. Their society has been getting progressively more conservative under Putin, and Putin's conservative nationalist ideas have become progressively more influential as Russia crosses the line from authoritarian democracy to dictatorship. Feminists of late have aligned themselves with opposition movements, and those in power with the macho, paternalistic streak in Russian culture - the Russian Orthodox Church calls feminism a 'mortal sin', and says that their dangerous behavior threatens to destroy the motherland. Oberg's biases are well known. I have discussed this event with two different people involved with the science side of the project, one from the US, one from Russia. Their comments were that media reports were exaggerated and sensationalised (as you would expect). How about sending more female cosmonauts to the ISS instead? I think that all the people involved in this experiment would agree with that sentiment, but I don't think it is specifically intended to deliver that outcome. 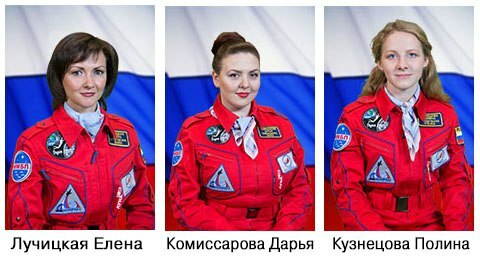 However, it may help to influence future attitudes to female cosmonauts within the wider Russian space community, and hopefully, only in a positive way. If they are going to run a psych experiment with a moon mission backdrop then it’s still a psych experiment not a simulated moon mission. If Russia wants to go to the Moon coming up on a half century later since Apollo 11, just get on with it and go. If they chose an all female crew with the proper credentials they would do an excellent job regardless... Just go already and stop with trying to milk some PR for such a short voyage which amounts to what some young women do all the time on road trips around the country. Using the Youtube close captions with English translations says the experiment starts 28 October. Looking forward to the conclusions that are reached. Done carefully the data could be extremely useful for long duration crew makeup. Just to bump this thread, as the experiment is due to start today at 12.00 Moscow Time. The crew was announced yesterday and includes all three girls pictured and interviewed in my article back in August. The 'commander' will be Dr Elena Luchitskaya. There is full info on the Lunar-2015 Facebook, linked earlier in the thread. The mission ended. "Astronauts" back home.